Although upon arrival in Japan you will no longer fly into the Osaka Itami Japan Airport, there is a good chance that you will use the airport for domestic travel. The airport ceased being an international airport in 1994 when Kansai International Airport was built 27 miles from Itami. Today, Itami Airport, formerly known as Osaka International Airport, handles domestic flights to over 30 destinations across Japan. It is served by Japan Airlines (JAL), All Nippon Airways (ANA) and IBEX Airlines. The city of Itami, located in the southeastern part of Hyogo prefecture on the main island of Honshu, is a thirty minute drive to the center of Osaka and forty minutes to Kobe. Monorail, train, taxi, and bus can take you from the airport into the city. Itami is a fun place to visit and convenient to other famous cities like Kyoto and Kobe. It is busy, fast-paced, and crowded, so be sure to be well rested and wearing comfortable clothing and shoes as you make your way around this region. The area is famous for its neon-lit nightlife and has many places to shop as well as ethnic restaurants where French, Chinese, and Japanese meals can be enjoyed. Any time is a fine time to visit this city. The weather is similar to that of southeast North America with four distinct seasons. There is one difference, and that is the rainy season, or tsuyu, which lasts from June to mid-July. If you visit Japan during this time, be sure to pack a lightweight umbrella. This historic site was built in the end of the 16th century by Toyotomi Hideyoshi, a well-known warlord. 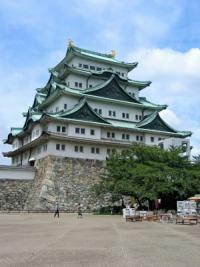 In the main tower of this lovely white castle is a museum, with artifacts and documents about the history of Osaka. The castle grounds contain a park with an area of about 60,000 square meters. If you are in town during the cherry blossom season you'll be able to walk under the pink flowers. Near the castle is the Osaka Municipal Museum which presents some of the culture and history of Osaka, the Toyokuni Shrine, and the Osaka Hall. Along the nearby river is where the Osaka Tenjin Matsuri (festival) is held. This is one of three largest festivals in Japan. A fleet of 100 ships going down the Okawa River is worth seeing as well as the fireworks which sail into the night air at the same time. This beautiful castle lies in western Hyogo. It was built in the mid-14th century, again, by the order of Toyotomi Hideyoshi. Another feudal lord of the castle rebuilt it in the 17th century. The design is like a white heron spreading its wings and therefore called Shirasagi-jo, or White Heron Castle. The castle tower is the main structure and has six stories, although only five can be seen. The lower level is in the basement. The surrounding area has a Japanese garden, with cherry blossoms, or sakura, that are beautiful in the spring and the autumn has red and golden maple leaves. Otokoyama Sen-hime Tenmangu Shrine and the Hyogo Historical Museum are also in the vicinity. Get a wonderful panoramic view of Osaka by taking a ride on the ferris wheel! At 370 feet, this is the fifth largest ferris wheel in the world. If you want to really get a taste of how the East meets the West, visit Universal Studios Japan Theme Park at the Tempo-zan Harbor. This is the first Universal Studios outside of the USA and includes fascinating rides like the Jurassic Park, Terminator, and Jaws. Theme-based restaurants are also a part of this novel park. Water taxis and cars shuttle from the railway station and the Itami Airport making this park highly accessible. How about a visit to the Osaka Aquarium? It is one of the largest in the world. If you like contemporary art, take a tour of the nearby Suntory Museum. Itami is famous for its sake industry and Suntory is one of the breweries. The Aramaki Rose Garden contains over 10,000 roses of 250 species from around the world. Itami's famous roses, Amatsu Otome and Madam Violet are among the beauties. The best times to visit are between May and June and from October to November. The garden is open daily from 9 a.m. till 5 p.m. during the peak seasons, and is free of charge. Located near Koya-ike, or Koya Pond, is the Itami City Insectarium. 800 butterflies of 15 species flutter around tropical flowers in the greenhouse. Located 6.8 miles from Itami Airport, this 10-story downtown Osaka hotel is modern and offers all the contemporary amenities. The hotel has 922 guest rooms and two suites. It is about three kilometers (two miles) from Osaka Castle. Guests have several dining options including a buffet restaurant that has more than 60 kinds of Western, Asian, and Japanese dishes. 10.9 miles from the Itami Airport, this plush hotel is located on Osaka Bay. It is adjacent to the Asia and Pacific Trade Center and the World Trade Center, and close to a number of restaurants. The hotel provides complimentary shuttle service to the center of the city. If you would prefer to stay in a less expensive accommodation, consider a Japanese inn, a ryokan, or a hostel. Due to congested driving conditions, renting a car is not optimal. Public transportation is easily accessible and efficient. Trains run on a tight schedule, getting you where you need to be on time. 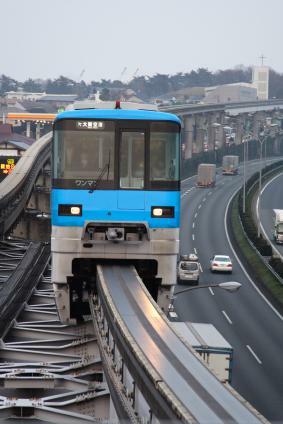 There are tips on riding public transportation in Japan so that you will know what to expect. Taxis can be hailed on all the major streets. Each taxi has a meter. Tipping is not part of the culture, so there is no need to worry about this. Have fun, and enjoy your time in the Osaka Itami Japan area. You will find the local people to be warm and accommodating. This will be a trip you will never forget. Be sure to bring your camera!